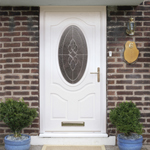 Whether you choose a modern or traditional style, our doors create a grand entrance to welcome guests to your home. There's more to them than style though -- they're brimming with all the latest high-tech security features to protect your home and keep intruders out. 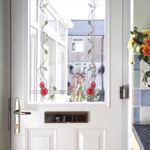 Dramatically reduce heat loss and draughts with our double glazed units, double doors seals and insulated moulded door panels. 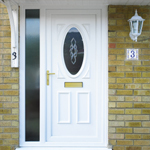 Low maintenance PVCu is tough and resilient, and will stay looking good. 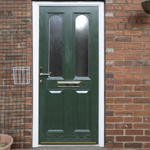 We also use steel sections where necessary to further reinforce the PVCu. 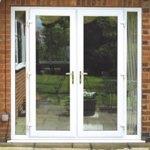 Choose the perfect doors for your home from our range of styles and openings such as French Tilt & Turn and Patio Doors. 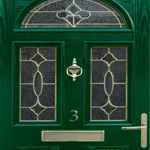 All tailor-made to order, you can personalize your design from hundreds of accessories, colors and glazing options. 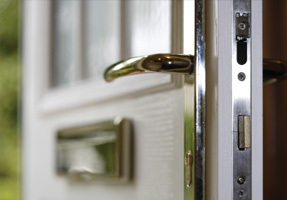 An affordable investment for your home, we'll make sure you get the best value for money.